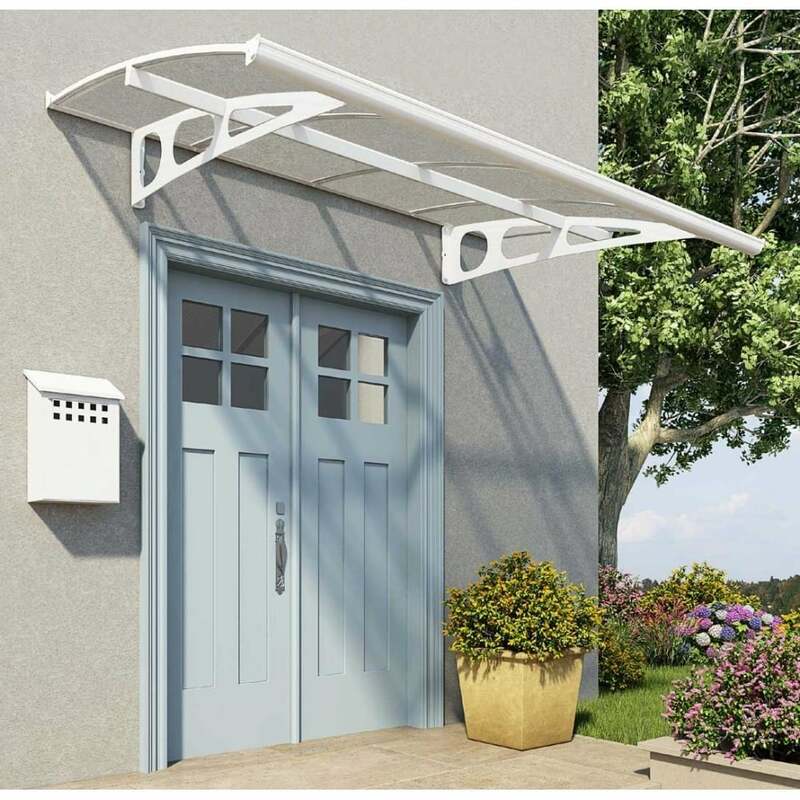 Palram Door Canopy Bordeaux 2230: This elegant canopy has a rust resistant aluminium frame and galvanised steel support arms with a powder coated finish. The integrated gutter and hidden rubber gasket helps to direct rain from your doorway. This strong door canopy with shatter resistant polycarbonate panels will provide protection UV rays and and inclement weather and can also be used to place over bicycles. This self assembly canopy includes all installation components and will complement your home beautifully.